So much great information, Kathy. Are these heirloom, organic tomatoes ? I just want to see old fashioned, knuckled and rough skinned tomatoes in the market. My eyes look for them all the time but can’t any tomatoes but the smooth, perfect skinned ones. I ordered a few heirloom tomato seeds through ebay today- I was so desperate. I have a few dandelion seedlings grow this year and I am cutting off the leaves to eat as a salad- this is my only crop adventure for 2019. Brandywine is so good. Years ago we grew some from seed and they were the best we ever had. I have high hopes. I’ve grown them before, but have had different results each year. It seems almost everyone in my area had a disappointing crop last year. We had a lot of rain, not much sun. In fact, it’s been a record year for rain in our area. Yes, about the dandelion greens. I am so happy about identifying these plants. I planted the seeds last year and a few plants came up with the tiny yellow flowers and I wondered what these beautiful plants were but didn’t even imagine they were dandelions- having never seen these in my life before. This year, they popped up again in our winter and then I thought about googling their pictures and found out they were dandelions- so I am cutting up the leaves and eating them- not sure if there is a any difference in my health. i am trying hard to eat 7-10 cups of vegetables every day per Dr. Berg whose videos I watch to get myself healthy and he advises this. Buying greens from the shops here is way too expensive. About the tomatoes, when they fruit, will you share the pictures please ? I will do that Susie. Have a lovely weekend. I once had a neighbour who grew the most fantastic tomatoes, that got to a size so large, that one slice was enough for a sandwich. 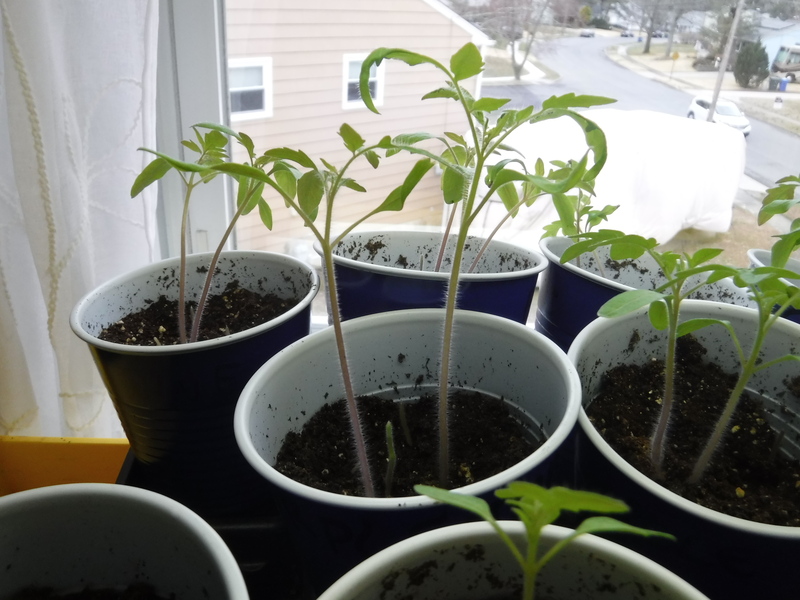 He would meticulously save seeds for the following year, and never did tell me what variety of tomato these were, but he would give me a plant every year for my garden. The plant/seeds sound like a treasured heirloom. I bet they were delicious. I was dreaming of tomatoes today. I love seeing the tomato seedlings gleam in the afternoon sun.